Note: Rest as needed between efforts to allow for maximum power production. Who can complete each individual round in 3:00 or less? Following the metabolic workout, rest as needed, then accumulate a total of 3 minutes in “Athletes Choice” of L-Sit or L-Hang on the rings, Pull-up bars or Parallel Bars. 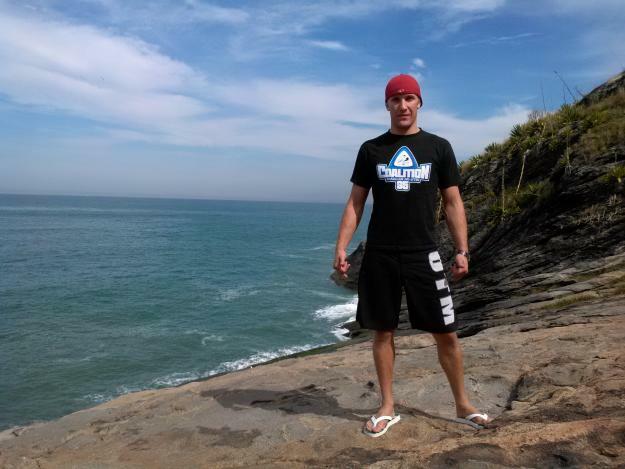 Our very own Nathan Mendelsohn will be in Brazil for two months teaching and training Brazilian Jiu Jitsu. Follow Nathan’s adventures on his website and Facebook. We miss you Nathan and look forward to your return. Ossss. The KravFIT and BagFIT programs begin this week at Krav Maga Santa Cruz. Check with Greg Amundson if you are interested in joining the Krav Maga add-on program.